Because of its wide range of use, benzoyl peroxide (BPO) made it to the World Health Organization’s list of Essential Medicines. No wonder Proactiv has put its trust on it after it showed real results in treating acne. For years, Proactiv has been in search for the best ingredient to fight acne from getting worse. Medical findings have it that benzoyl peroxide is still the smartest choice. Some people get wrong notions after they subscribe to misconceptions like, “your skin gets addiected to it” and even, “quitting its application will make acne faster and with a vengeance”. At all times, we need to consult with specialists before believing in claims by advertisements. Let truth be told, benzoyl peroxide can cause allergic reaction in some people. I believe this is a common scenario- it’s like me stopping taking a pill because it makes my feet very itchy as a side effect. However, this fact does not change the truth that benzoyl peroxide shows results. When acne is developed after a pore blocked by excess keratin, sebum, and dead skin, benzoyl peroxide breaks down into benzoic acid and oxygen. The oxygen acts as a free radical, destroying the cells that blocks the pores with the bacteria growing on it. The effectiveness of benzoyl peroxide is not questionable as everyone in the medical field agrees to its capability in preventing outbreaks on the skin. In fact, it is recommended to use benzoyl peroxide right away to minimize the formation of acne and prevent future outbreaks. 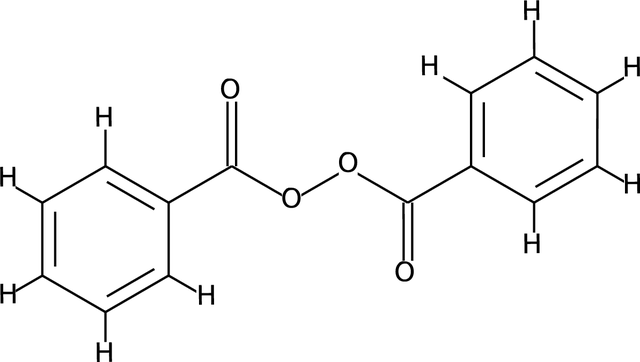 However, there are concerns that needed to be discussed when it comes to the use of this organic compound. When a person puts too much of it on the skin, it gives the skin unnecessary stress than protection (I think there is some logic behind this because all in excess is bad). Just like what I’ve discussed earlier, Proactiv is dedicated in finding the best option against acne. Finally, it has developed a 3-Step System backed by dermatologists. Step 1: Let’s start with the application of Proactiv Renewing Cleanser that has Benzoyl Peroxide that kills acne-causing bacteria. It has ultra-fine micro-crystal BPO that penetrates pores fast while being gentle on the skin. Tiny, round exfoliating beads unclog the pores of impurities, such as excess sebum, keratin, and dead skin cells. Step 2: Next is applying alcohol-free Proactiv Revitalizing Toner which refines and purifies pores, exfoliating the skin further by removing more dead skin cells and keeps pores unclogged. It also has soothing botanicals that gently balance the skin tone, removes excess oil for a refreshed, clear skin. Step 3: Finally, Proactiv Repairing Lotion is an as-light-as-feather treatment that heals the blemishes off the skin and also helps in preventing new acne from forming. Each Proactiv kit comes with a free Refining Mask that makes sure to keep skin clear and acne-free. Formulated with sulfur, a proven acne-fighting ingredient, reaches deep into the pores where blemishes begin. The Refining Mask unclogs pores, pampers inflamed skin, and softens the skin’s texture. And besides, Proactiv has only 2.5% of BPO, which is lower than other over-the-counter acne treatments so it is safer to use daily. Moreover, at this concentration level BPO can already effectively kill acne causing bacteria so there’s really no cause for worries--really. So not be afraid of whatever misconceptions BPO has and set your skin free from acne. Use it strategically, and you will never have to worry about acne again. Proactiv Solution comes in 30-Day kit (Php 2,495) and 60-Day kit (Php 3,995) and is available at all Watsons stores nationwide.